Unfortunately, sales are still no devices that send sounds encoded in the electrical signal directly to the brain. Therefore, this signal is sent to the playback device to the speakers of the headphones, which create vibrations in the air picked up by the membrane in the ear of the listener, and further converted into signals of nerve endings. If one of the headphones suddenly stops to shake the air in the ear of the listener, then the reasons can be several and some of them can be eliminated quite easily. To cope with this is not fatal, but a nuisance you first need to determine what is out of order "to localize the fault, as expressed in the films of any "electrocute Pro". Start by checking the basics - make sure that the plug connecting the headphone wire is firmly seated in the Jack. The contacts that transmit signals left and right channels on the modern pin connectors made in the form of rings, located one above the other. If the plug is not inserted up to the stop, the upper ring does not relates to the corresponding contact in the connector and one of the head phones not getting signal. 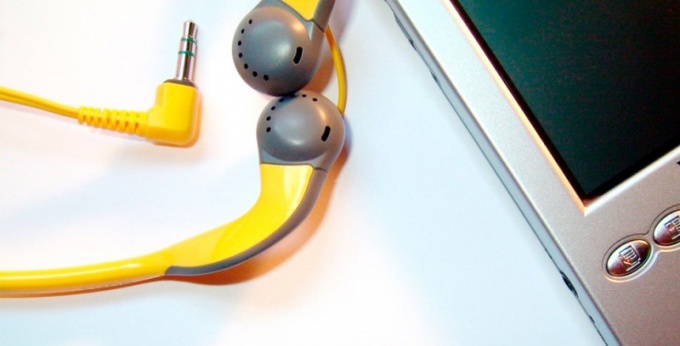 Another reason could be improper functioning of the device connected to the earphone, a special program ("driver"), providing for its joint work with the systems of this device. Most often, the trouble of this kind happens when headphones are connected to computers. It can only eliminate installing a suitable driver is usually included purchased headphones or the device to which they are connected, there is a disc with the required software. If not, then you'll have to find the driver on the Internet. Both the above causes are eliminated without "surgical intervention" as himself "patient" (headphones) does not have any damage. If you get to work and the second speaker device of the above methods failed, it is likely that such damage is still there. Inspect the patch cord from the headphone Jack - maybe it is partially damaged and the contact wiring of one of the channels is broken. Most often this occurs near the connecting plug from the speakers and headphones. Of course, the headphones with that kind of damage will have to change, but in the interim, you can replace the damaged part, if at your disposal is an unnecessary device with a similar connection cable. In this case, simply cut the damaged part, clean and twist the wiring of old and new connecting cords and tape (duct tape, adhesive sticker, etc.) the connection of at least one of the two wires. If none of the above made headphones to function properly, it is very likely that a damaged speaker or something else inside the case broken head phone. 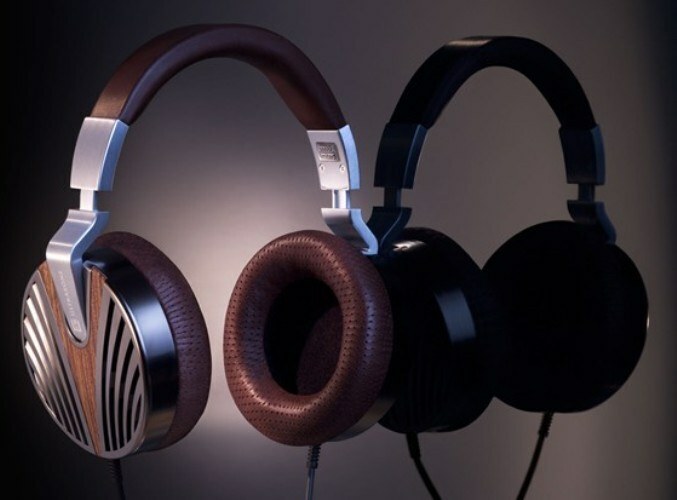 As these headphone parts usually are molded, you just have to say goodbye to headphones and indulge in a new purchase. Earphones of various sizes and types are used in many electronic devices, e.g. iPods, or headsets of mobile phones. Sometimes rough handling goes down the connector, through which the headphones are connected to the device. Fix connector usually does not take much time and does not require professional equipment. Inspect electronic device, joined headphones. A possible reason for the lack of sound may be the pollution of the connector. In this case, clean the Jack plug with a sharpened matchstick or a toothpick. If necessary, clean from dirt miniature male plug (also sometimes referred to as "Jack"). If these measures have not led to the result, check whether the device with the other (working) headphones of the same type. In the absence of sound and in this case, the cause must be sought in that part of the connector which is located on the electronic device. Disassemble the device by unscrewing the fasteners. Swipe the joint that connects the housing parts, a nail, or pointed instrument (preferably not metal). After disassembly, inspect the socket, in which is inserted the plug. Check out how reliable electrical contacts. If necessary, restore the connections, the heating them with a soldering iron. If the socket properly, proceed to repair connector ("Jack"). It can be in different versions, but always consists of a ring, sleeve and tip. Disassemble connector and inspect the site, which is designed for soldering. If it has Nickel plated, will clean it off and saladita soldering iron. Strip the wires leading from the plug to the headphones. That wire, which is formed by twisted wires screen, pre-cut. Otherwise, the possibility of its closure. Slip into the wiring protective tube, and then solder wires to the pins of that Jack. Now the tube can be joined to the contacts. Solder the connector to the common wire. While it is undesirable to use low-melting solder. If the soldering tip is too wide, it is desirable to make narrower it with a file. Insert the cable into the mount. For reliability wrap the wire a few turns harsh thread. Secure the thread on dropping the coils heated rosin (a normal node would weaken the mount). Attach the connector protective cap. Insert the plug into the socket and check its serviceability by connecting to the player. If done carefully and properly, you will hear from the headphone is a welcome sound. In today's world it is difficult to imagine anyone not having a headset. Music accompanies us everywhere: in the subway, in the bus, house, etc. 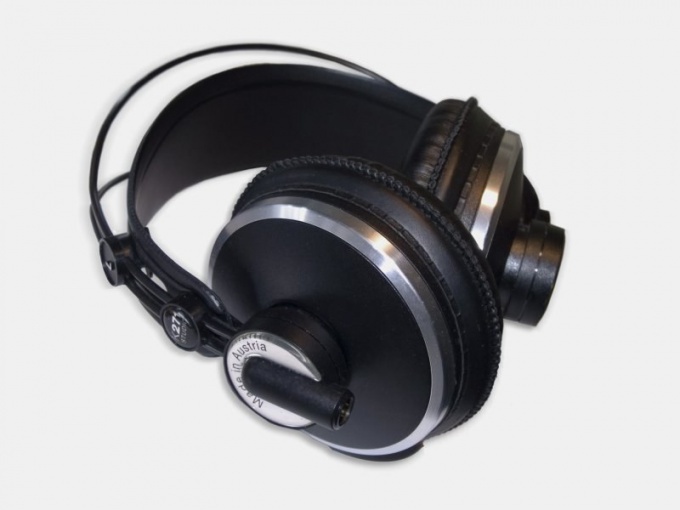 Breakdown of headphone can be a lot of trouble as an avid music lover and the person to whom the headset is required to work. There are often situations when the headphones from the computer suddenly stop working. The reason may be the lack of suitable audio drivers. This situation may occur after reinstalling the computer system, such as Windows 7 to Vista, etc. Determine their own or with the help of special programs the availability of the necessary drivers in your PC and if necessary install the missing.The failure of the headset can be explained by the rupture of the cable. It can happen in misuse with headphones when they abruptly pull the cord. 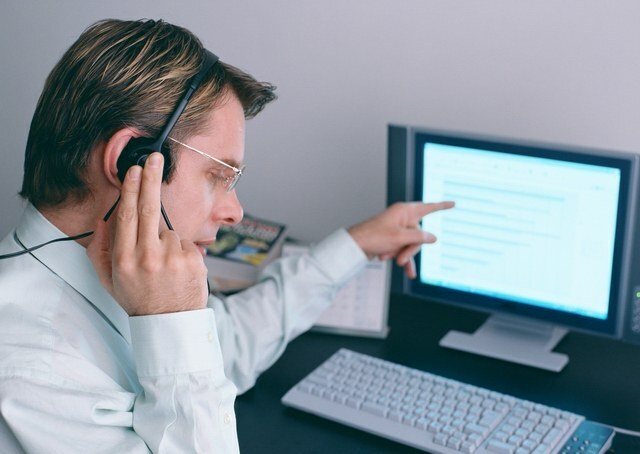 While the difference may not be noticeable, therefore, immediately to establish the true cause of the disappearance of sound is impossible.Test the headset by connecting them to another device, probably just a loose socket on the panel of your computer. By the way, this is another reason why the headset may not work. So, if you are connecting to another device or, for example, the rear panel, the sound in the headset appeared in the nest. If not – you need to change the damaged cord.The telephone headset may not work because of damage to the headphone Jack. To resolve this problem is possible only in a specialized service center that is servicing the equipment brand of your phone.If the new headset microphone not working, maybe it's his low sensitivity. First check the microphone on another computer. In case of positive outcome of the test, i.e. confidence in its work on other equipment, you need to fix the mixer settings.There are times when the headset microphone does not transmit your voice on Skype. So you should check the settings of the Skype. Sometimes he can use another device as a microphone. Just choose in the sound settings microphone.In order to avoid unexpected breakdowns headset, do not let small children play with her. Often they mess up the wiring, pulled the cords and break the microphones. Themselves treat the headphones gently. The cause of the failure of the sound in the headphones can be both software and hardware. In the second case, it may lie in the headphonesor the device to which they are connected. Check the position of the volume control on the device that is attached to the headphones. It may be adjusted as a variable resistor, and with the help of buttons, giving the controller a command to increase or decrease the signal level. Also check you have turned off the sound (Mute) To the computer, start the software mixer (its name depends on OS), and then check the position of the controller, called Master Volume or similar. Also check to see if the flag is off the output socket. When headphones are plugged into the device not directly but through the active speaker, control volume on both devices. Set them regulators, the coefficients are multiplied by each other: if the zero has at least one of them, the sound will not. Check their position. Making sure that the regulators are installed in the correct position, but not having the appearance of sound, first check what Jack included earphones. Which to use can be colored green, or nearby, there may be an icon in the form of headphones. If the device has built-in speakers (e.g., laptop, handheld radio), after connecting the plug these speakers must be switched off. Finding the lack of sound even when properly connected, first check the volume control on the headphones. Slide it from the zero position. If there is no regulator, either it is installed correctly, the absence of sound in one or both channels indicates a fault of headphones, socket or amplifier. If you do not know how to repair them, will entrust this work to a person with the relevant skills. All maintenance operations must be carried out under de-energized equipment. Some monophonic instruments, for example, analog tape recorders equipped with sockets, connecting to which even good headphones to work is only one channel. To work both, fabricate the adapter, consisting of a stereo plug and socket. The plug connect the two wires to the middle and far contact, and the average does not apply. One of the wires connect to a common Jack contact and the second contacts of the left and right channels connected together. Do not use headphones at a high volume. Repair the equipment when removing the voltage. When wearing the headphones, do not touch grounded objects.